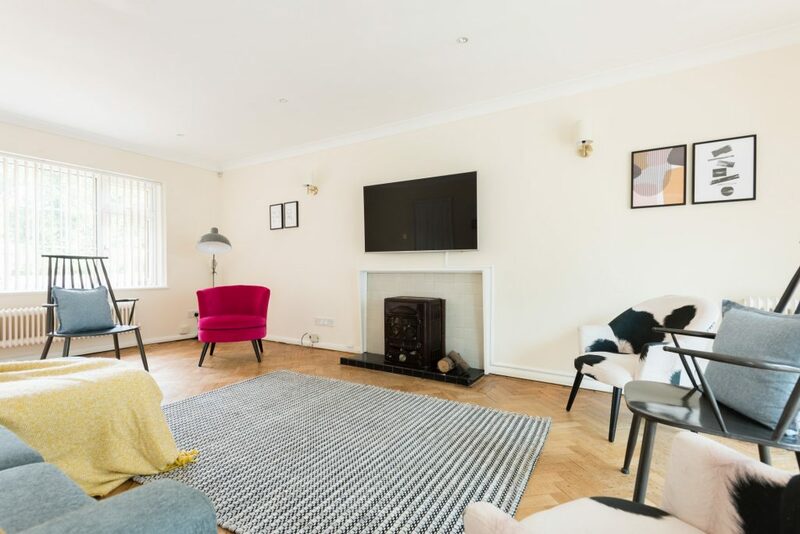 This sizeable family home close to Homerton College in Cambridge’s south offers a lot of space for you and your guests. 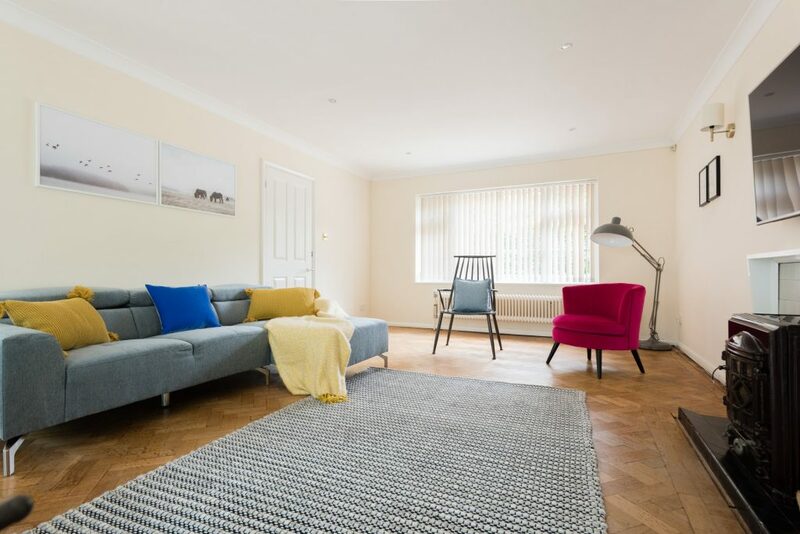 It’s furnished with modern appliances and comforts, benefits from cool new furniture and offers a great place from which to explore beautiful Cambridge. 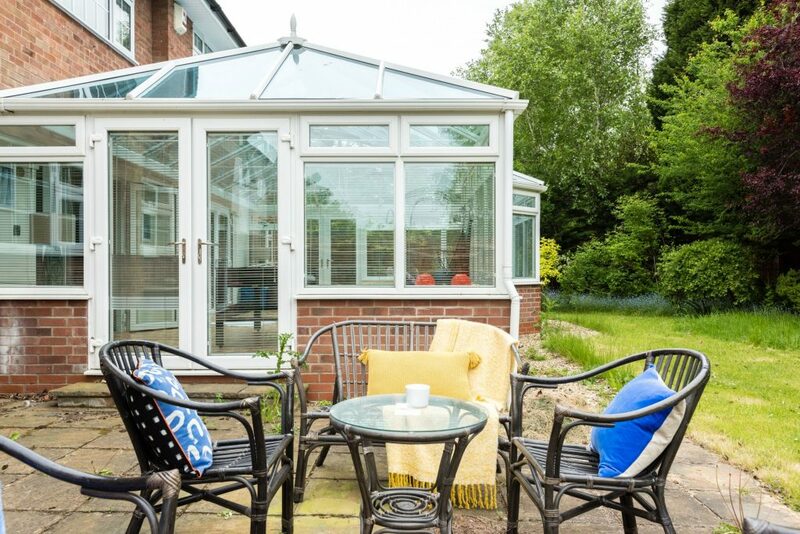 This large family home in Cambridgeshire combines old world charm with modern facilities. 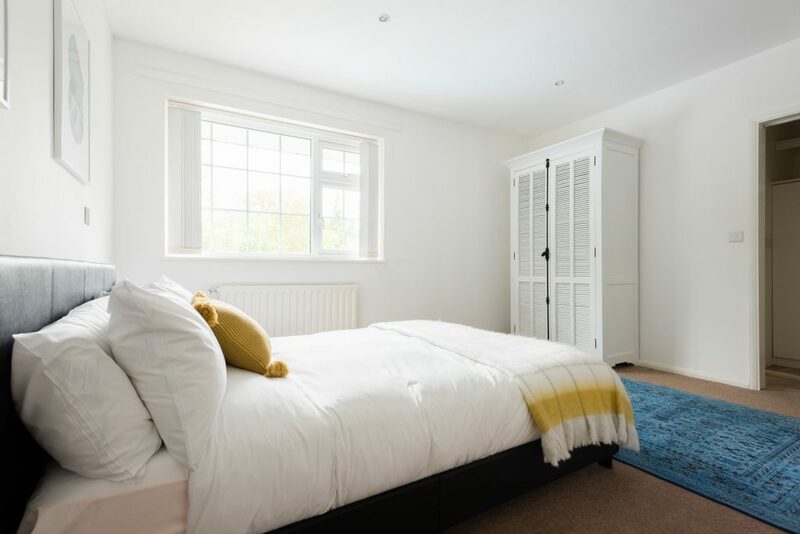 The property allows for plenty of room for up to ten guests with five bedrooms as well as five bathrooms. All rooms’ feature modern furniture and give the house its distinct character. 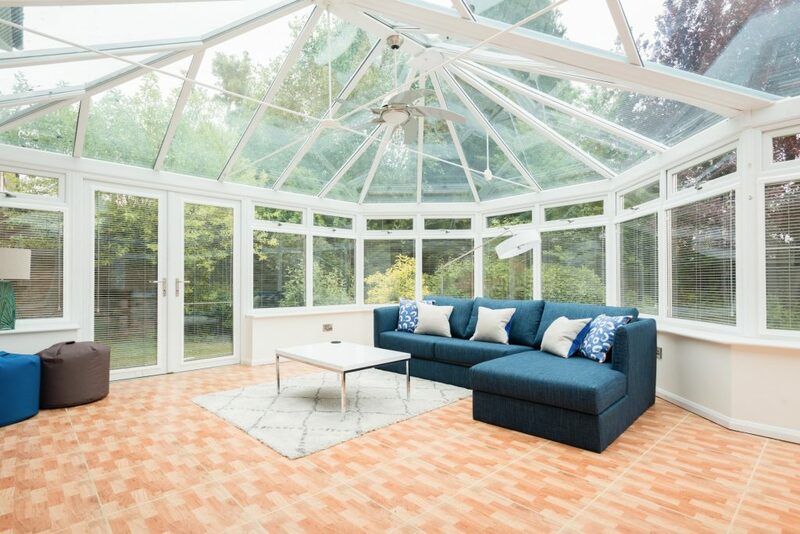 It is centered around the large sitting room ideal for cosy evenings with a book or for a movie night. 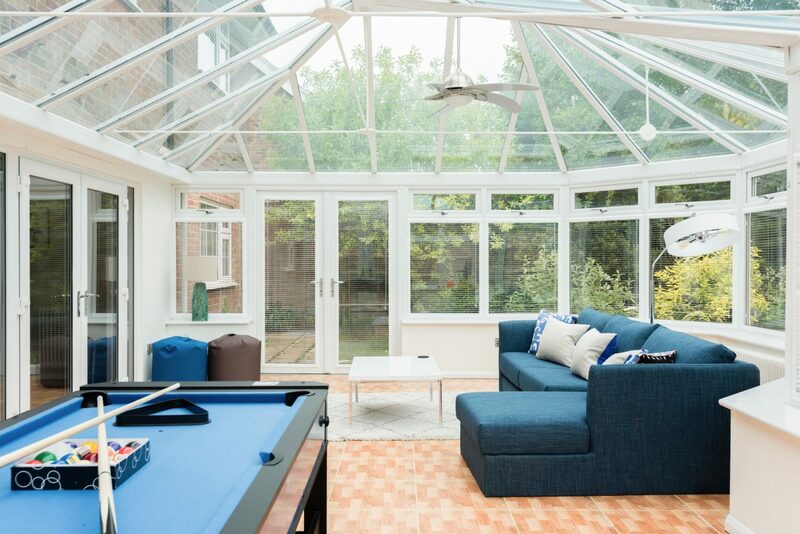 The house also has a sizable conservatory with its 7-in-1 game table, featuring basketball, ping-pong, air hockey and more, to be enjoyed by all guests of all ages. Throughout the house, you’ll find an array of natural light. 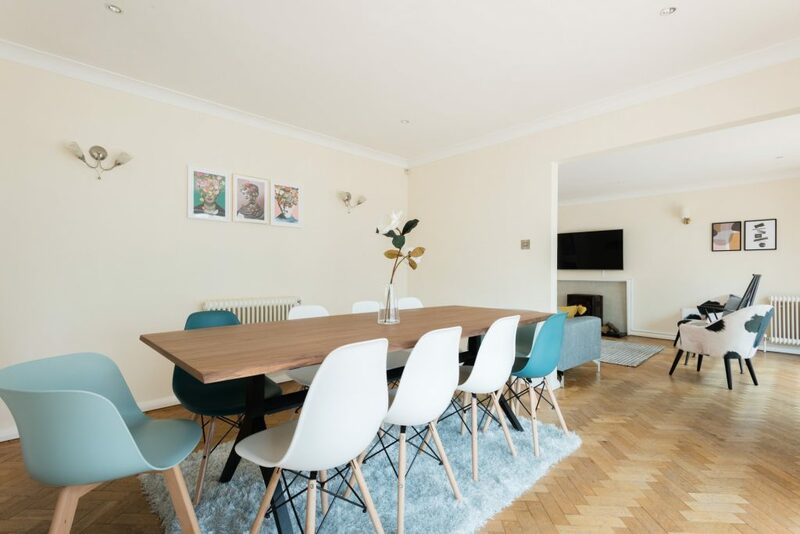 The dining room, as well as many other rooms downstairs, have beautiful wooden floors, while the bedrooms and the upstairs have cosy carpet installed. The hall is equipped with the largest single window of the house, greeting you and your guests with a feeling of grandeur. 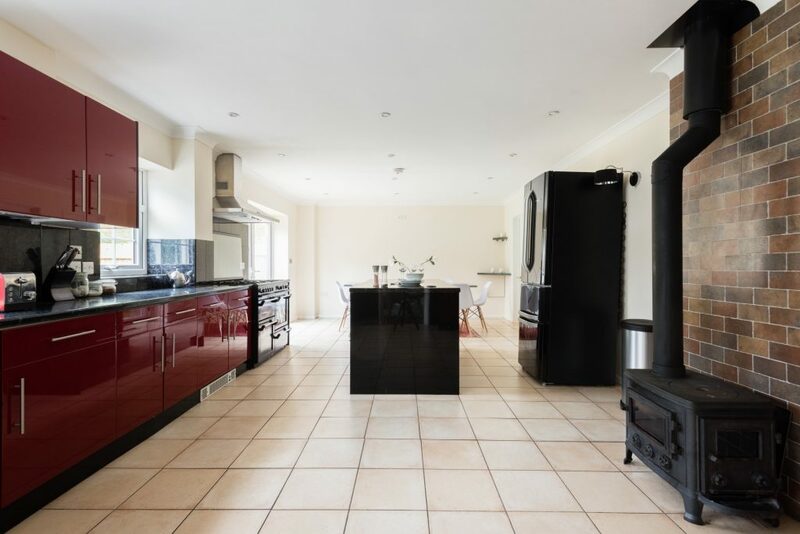 The large kitchen and breakfast area allows you and all your guests to gather around or enjoy a meal together. Furthermore, the house features a separate dining room adjacent to the large kitchen. 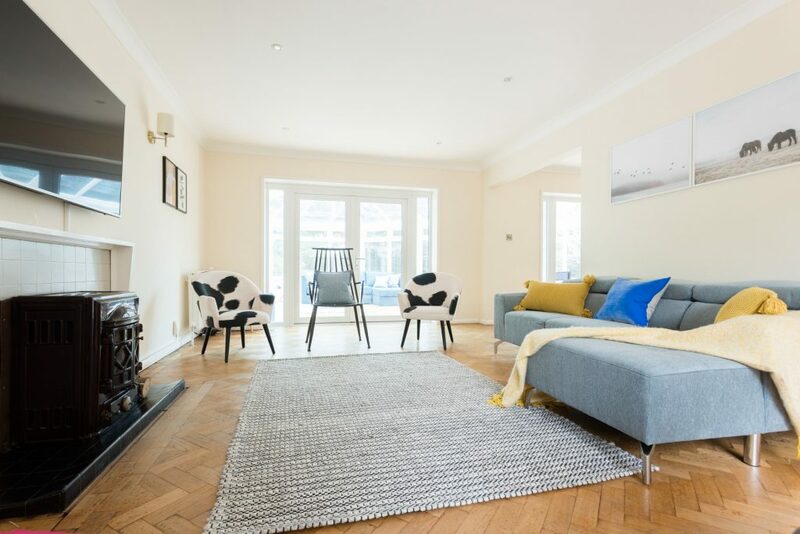 Beyond the modern design, the kitchen is fitted with all necessary quality appliances and we’re happy to also supply you with a BBQ, so any and all cooking and dining needs are met in this family friendly house. 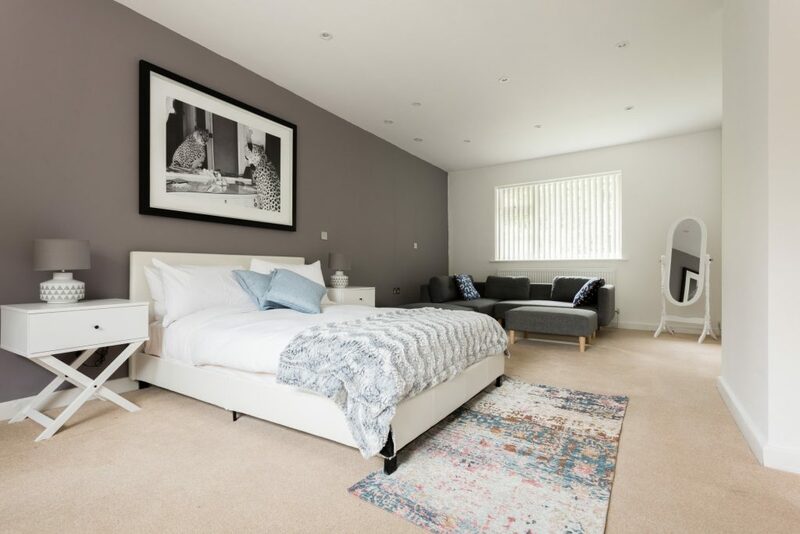 All bedrooms are furnished with comfortable double beds and there is a bathroom for every bedroom to maximise comfort and minimise waiting time. All bathrooms come equipped with towels, soaps, and shampoos. The house invites you to simply unpack and start your trip. If you’re arriving with children, you’ll find the many games as well as the chalkboard wall a delight. Many hours of fun await. This clean, tidy and generously outfitted property is ideal for larger groups, friends or families to enjoy some quality time together. We’re looking forward to having you visit. 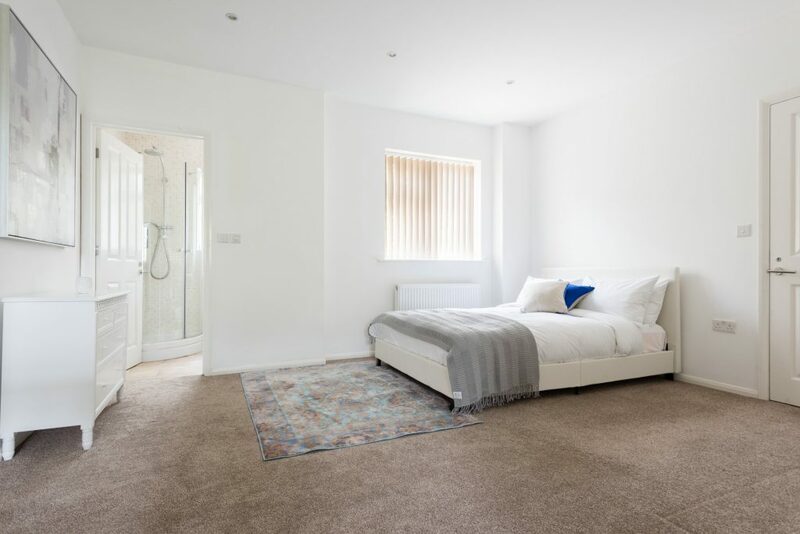 The home is located in a lovely neighbourhood in Cambridge, close to Homerton College in the South of Cambridge and is walking distance from many of the town’s attractions such as the Bridge of Sighs, Kings College Chapel, the Fitzwilliam Museum and countless other attractions. The area around the home has a lot of cute local shops, culture and many great restaurants and coffee shops are close by. The neighbourhood itself is quiet and safe and has a lot of green spaces and small parks.